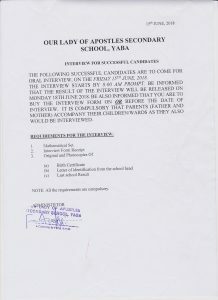 List of Successful Candidates For Interview!!! List of Successful Candidates For Interview is out Click to view!! !